This project started when the actual copies of the Dead Sea Scrolls became available for public use about 2003. If you want to see them just Google Dead Sea Scrolls and you will find a very large selection you may follow. Current count is over 4 MILLION! This project is a very, very small part of a major work on early Scriptures Power on High. Any questions you may have about early Scriptural History this site has a history of all recorded sources. Any and all questions will be answered. There are many audio books of the dozens of "BIBLE" translations but there are few (if any) transcriptions of the ACTUAL DSS. To use this project please read the 'HELP' file as it will set up the various files. Select a chapter from the "home Page" and read the information to get an understanding of the scroll being used. Studying the details of each scroll is very important. The next screen is the actual DSS file. The actual DSS words will be printed in BLACK and the lost words will be printed in Red. The actual words will be read by "Lawrence" and the lost words will be read by "Ryan". The chapters and other information will be read by "Heather". The editor "William" will introduce details and descriptions vital to the subject being read. The sound may be paused to allow notes or quick research of dictionaries/lexicons to be read. Serious note to reader of these files! No letter "J" or "j" occurred in ANY language until 1700 CE! EVERY time you see "J" or "j" ; look at the Hebrew/Greek interlinear! The letter "V" or "v" was introduced in 1150 CE! 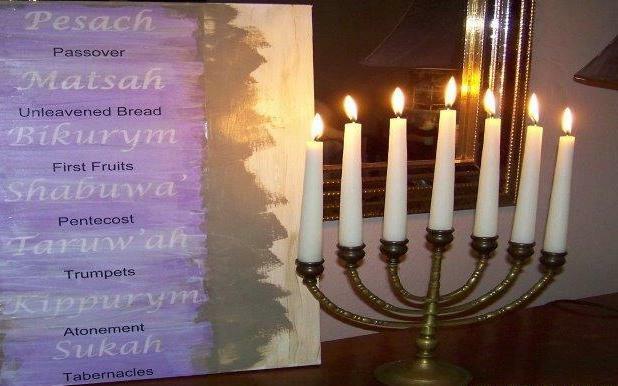 Hebrew proper names of people and land/cities etc. are very difficult to pronounce in English. Large sections are not included in the sound files. "Heather" will announce the chapters or verses that will be omitted. Please make sure to have the actual 'text' loaded and pause the 'audio' file while you take notes from the 'text' file. This project is based on the actual "Dead Sea Scrolls" (BLACK) that have been recovered and proven to be 'authentic'. The Mesozoic script (RED) is printed to support the DSS and provide continuity. The resources used in this project are listed in the "Resource Index". There are links to many FREE programs and other sources. The section 'NOTES' is for the very serious student of Hebrew that offers deep scholarly help from LOGOS software. The links in this section are in the Hundreds. Approach this section at your own risk. It will take years to finish this section, in fact it will never be finished. Also note that there are NO sound files for this section as it would make no sense. To use the 'NOTES' interactive follow the instructions in the HELP section below. The sound files are very difficult to transcribe Hebrew to English! It is very important to load the 'audio' file first, set the volume, pause and back up. Then load the 'text' file!!! The 'audio' file will make no sense with out reading the 'text' that contains 15-25% more of the Hebrew words that are NOT in the 'audio' file. Errors are welcomed, please help; this project is probably very flawed. 1: Only 'DSS' (BLACK) script is for edit! NO EXCEPTIONS! These must be addressed by Book, chapter, verse and word(s). 3: Then the correction followed by sources or etymology root. First step: load: (sorry they now charge $14, worth much more!) http://mizage.com/ DIVVY and learn to use it. This is the most useful tool in your computer. Second: load RDSS and set it to TOP 1/2 of screen. Third: if you want to use the 'AUDIO', load, set the file and pause. Fourth: load: http://www.scripture4all.org/ load the ISA 2 basic and save to ToolBar, set to lower left 1/4 of screen. Fifth: load: http://www.e-sword.net/ set to lower right 1/4 of screen. Sixth: Open NEW Internet window http:/biblehub.com and save to taskbar. INSTRUCTIONS to use the 'NOTES' as interactive. (make sure that you have your browser in your taskbar!). Third: click on the browser in the taskbar to open a new window. Open RDSS and open any 'NOTES' file. Fourth: use DIVVY to open a window in the lower right 1/4 screen. Fifth: open ISA 2 basic and use DIVVY to open in lower left 1/4 screen. Another scheme is to follow the above except to divide the screens in 1/3 horizontals. With a little experimenting this will become a very powerful source, the original Hebrew DSS script is available. Use the taskbar browser to open any other e-file and use 'minimize/maximize' for instant reference. Greek, Strong and other dictionaries are available. All of these files may be copied into your own 'personal' WordPad file. Copying the 'AUDIO' is easy, and using WavePad Sound Editor edit the files needed. Make sure "Windows Media Player" is in the Windows taskbar. This allows the 'pause/restart' to be instant it allows studying the subject. If using LOGOS start it any time and reduce it to taskbar. This allows instant 'copy & paste' into and out of LOGOS. Many Hebrew names and words will not transcribe easily into English so it is necessary to 'pause' the audio and read the text file to understand. Keep a note book and record the time settings on the audio file. Record the time each time a new chapter starts. This makes it easy to find a specific part of a chapter. The 'print' tab at bottom of the page will produce a very easy to read text and will also print a hard copy. This project is not protected and may be copied. Now go and learn YahWhoWas' precious Words.